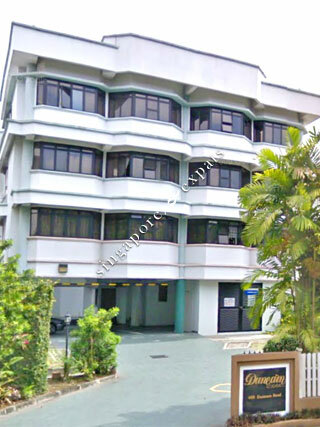 DUNEARN LODGE is located at 408 DUNEARN ROAD in district 11 (Chancery, Dunearn, Newton) of Singapore. DUNEARN LODGE is a 99-year Leasehold Condo development consisting of 14 units. DUNEARN LODGE is completed / TOP in 1999 (estimated), developed by HOE SOON INVESTMENT PTE LTD.
Educational institutions like HWA CHONG INTERNATIONAL SCHOOL, BLUE HOUSE INTERNATIONAL SCHOOL, CHINESE INTERNATIONAL SCHOOL, NANYANG PRIMARY SCHOOL, RAFFLES GIRLS' PRIMARY SCHOOL and SINGAPORE CHINESE GIRLS' PRIMARY SCHOOL are near to DUNEARN LODGE. DUNEARN LODGE is accessible via nearby TAN KAH KEE, BOTANIC GARDENS and FARRER ROAD MRT Stations. Dunearn Lodge is suitable for family with children studying at near by primary and secondary school.